environmentalgeographies | We are a group of Geography students from the University of Leicester. This blog is part of our Contemporary Issues Module. We are a group of Geography students from the University of Leicester. This blog is part of our Contemporary Issues Module. The first way in which Geographers can add to this area of work is by our study and gaining of specific knowledge of spaces. By analysing the different land users of an area, we can find, use and collect specific data about climate impacts, species distribution and people’s cultural practices, norms and societal distributions which would be of great value to all of the key players surrounding the palm oil debates in Indonesia. Moreover, Geographers also have the capability to use Geographical information systems (GIS) attaching information to satellite images to further increase understanding of the space in question. These satellite images can also provide clear direction as to the land use of a space, whether forested, cleared, plantations or human occupancy so can manage needs by consulting this GIS software, helping to reduce the impacts of planned plantations on animals and people. Additionally, Geographers can also bring their knowledge of key concepts to areas. 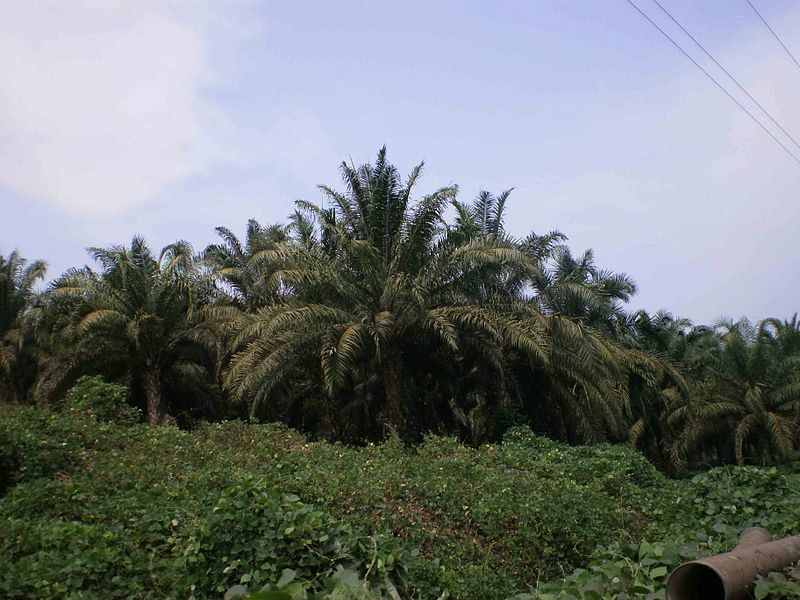 The concept that stands out in oil palm production is sustainability. We can work with local people to promote the sustainable development of communities, assuring that such communities can meet their own needs and those of future generations, possibly by promoting the sustainable use of wood and its replanting, or by promoting the efficiency of production of the palm oil crops to help prevent degrading of the local environment. Geographers also have the capability to raise awareness about sensitive issues. By having the skills to write and present, we can use our particular knowledge to affect a wide audience about issues on both global and local scales, whether this is by writing scholarly articles and presenting at formal conferences or in less academic ways, for example: by writing and publicising blogs like this one, via social networking sites or just talking about the issues with other interested parties. Throughout my blogs I have used these resources to keep me informed. Furthermore, Geographers can contribute by starting to think about solutions to the costs incurred. By using the particular skills that Geographers have accumulated after their years of study, and the detailed knowledge they have gathered about a place, its people, its characteristics and its culture, we can suggest practical solutions to problems that aim to satisfy as many interested parties as possible. I hope you have enjoyed reading this series as much as I have enjoyed writing it. I intend to continue blogging on environmental issues as frequently as possible. My previous blogs have been concerning environmental injustice, however I would now like to take the time to talk about justice and how geographers can enable and create grounds for it. As a geographer I play my part in promoting environmental justice by creating awareness and sharing knowledge, however as a student my reach is limited, other geographers, environmentalists and scientists go beyond this and contribute in depth research and time consuming studies to the environmental justice and injustice debate. Geographers have something unique, a situated knowledge. Geographers recognise the connections between society and the environment, because this is what we are taught to recognise and appreciate. Everything is linked, the world is a delicate ecosystem, and everything is connected, an action in one place may have an impact somewhere else down the line. The awareness of this connection enables geographers to give well rounded and educated advice to other countries, companies and NGOS concerning environmental policy, schemes, projects and law. Geographer’s contributions can be seen in the development of REDD+ (Reducing Emissions from Deforestation and forest Degradation) for example, where developing countries involved with the scheme faced difficulties in using high tech monitoring methods and top down approaches. Burgess et al (2010) suggested a shift away from technological methods and illustrated the positive effects well planned community based monitoring can have. Their evaluation of REDD+ in Tanzania demonstrated that embracing local knowledge of trees, plants and the local area increases the effectiveness of monitoring significantly. Local ability to measure the diameter of trees, correctly identify species and monitor changes in stock and species proved to be very cost effective for REDD+. This and other extensive studies on community based monitoring in REDD+ countries have demonstrated that in the long run it is beneficial for REDD+ in terms of cost effectiveness whilst also addressing poverty in the area through creating and sustaining reliable employment for locals. This example promotes the concept of justice through involving local communities in processes and decisions that have direct impact on their lives, at the same time as it protects the environment. Geographers have previously and will continue to carry out progressive research on environmental justice and injustice. Through research they are able to highlight advantages and disadvantages of different policies and schemes to improve the future of the environment and society, so that both can evolve in harmony. The skills almost unique to geographers such as the ability to adopt flexible approaches and ‘to take location and scale into account’ (Liverman, 2004) as well as the ability to incorporate both interests and concerns of the people involved from indigenous populations to NGOs and multinational corporations means geography as a discipline and individual geographers are simultaneously invested in the rights of the stakeholders as well as the future of our environment. This holistic view that geographers have is evident in the advice they give policy makers, project leaders and countries concerning their environmental practices and results in fair environmental practice reducing conflicts such as those over land rights and environmental services. Burgess, N.D. et al., 2010. Getting ready for REDD+ in Tanzania: a case study of progress and challenges. Oryx, 44 (3), pp. 339–351. Liverman, D., 2004. Who Governs, at What Scale and at What Price? 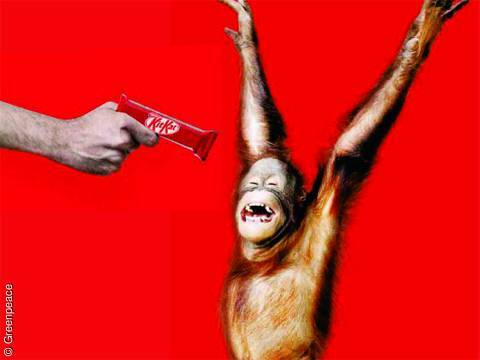 Geography, Environmental Governance, and the Commodification of Nature. Annals of the Association of American Geographers, 94 (4), pp. 734-738. 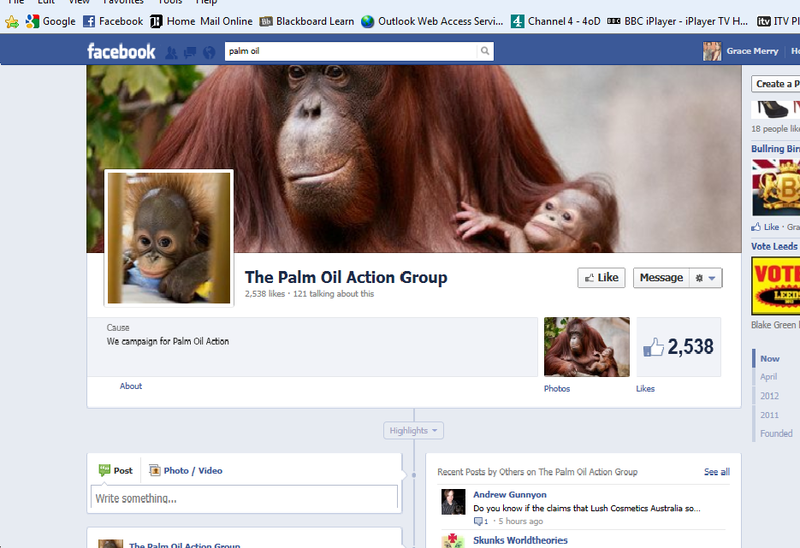 In previous blogs I have outlined the justice issues surrounding Indonesian palm oil production. Deforestation and the loss of biodiversity have been the two directions I have taken in describing and explaining the negative impacts of the product. However, the costs aren’t only to the environment or animals. People are also affected by the oil palm plantations associated with deforestation and have been marginalised in the push for economic gain. Indonesia is one of the flashpoints in the world where indigenous peoples are fighting to defend their land and livelihoods (The Guardian, 2009). As palm oil companies extend their reach into the rainforests, more and more indigenous tribes are being uncovered and displaced as they fail to defend their lands. Many indigenous tribes all over Indonesia are at risk of losing their land and the possibility of extinction hangs over them due to the pressure imposed on them by state owned oil palm companies. One example of this is the indigenous tribe, the Pompang of the Sanggau region, West Kalimantan, Indonesia. The Pompang tribe are a small tribe in comparison to many other indigenous peoples in the Diyak Bidayuh district of the Sanggau region. The Malay is the largest ethnic group that line the Kapuas River (Sirait, 2009). However, due to their comparative size and the position their lands fall in the area, the palm oil companies have pressured the tribe in to surrendering their lands in a most unjust manner. In 1974, the state owned palm oil company PTPN XIII collaborated with police and the military to pressurize the Pompang tribe to release their indigenous lands for oil palm plantations. If the tribe had have rejected this proposal they would have been accused of rejecting the governments program and obstructing development (Sirait, 2009). Two years later, in 1976, each household outlined their land and what they wanted to be excluded from the oil palm plantations. Mostly, this included the rubber gardens and the village settlement. However, their ancestral land, including forest and rubber gardens that were far away from the settlement, was cleared for the plantations, even though they were explicit areas that the indigenous tribe wanted excluded. If that wasn’t enough of an injustice, the proposed compensation ranging from $2.50-$27.50 per hectare was not administered after the clearing. 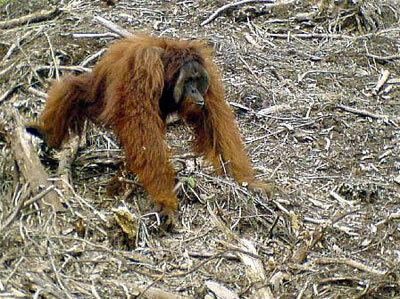 The Pompang had no means to generate income, little to cultivate to feed their families and had lost their cultural relationship with the forested area that was cleared (Sirait, 2009). The cost of this forced removal and deforestation was the loss the Pompang’s identity, livelihood and heritage. Some may say that with the 26 tribes in the Sanggau region of Sumatra,that this was just collateral damage in reaching development. But the way the Pompang tribe were treated in the forced capture of their cultural heritage is a worrying fact for human rights activists and other campaigners against the palm oil companies. However, as Geographers, we have the capacity to change this injustice, and this is what I will be discussing in my next blog. Oil palm in Indonesia is a rapidly expanding industry for many agricultural smallholders. Since 1961, the area of agricultural landdedicated to oil palm plantations has increased from 3.6 million hectares to 8.1 million hectares (Rist et al., 2010), with many companies and members of the population realising the potential profits that can be gained from the product’s high demand. Both state and private companies are investing in oil palm plantations, as well as local farmers who set up small holdings of the crop.The associated costs of palm oil production have huge negative implications on the environment, biodiversity and for indigenous peoples, and all of these costs manifest themselves in the plantations of Indonesia. Here, the driver that links all of these affected areas is deforestation. Indonesia and Malaysia contain 80% of Southeast Asian forest (Fitzherbert et al., 2008). and 11% of the World’s tropical rainforest (Koh & Wilcove, 2008) but, as demand for palm oil continues to grow the amount of forest is decreasing. In Indonesia between 1990 and 2005 forest area declined by 28,072,000 hectares and 56% of this decline was the clearing of forests for conversion to oil palm plantations (Koh & Wilcove, 2008). This deforestation is a concern not only to the population of the country, but to a worldwide audience who are increasingly concerned about climate change issues and biodiversity decline. 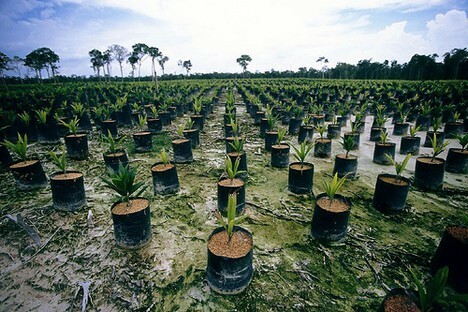 With the clearing of tropical rainforests for the creation of oil palm plantations, comes a loss of a vital carbon sink. Tropical rainforests are responsible for storing 235 tons of Carbon per hectare, one of the most important carbon stores on the planet, whereas the palm oil plantations only amass 48 tons of carbon per hectare, a net loss of 187 tons of carbon per hectare which makes its way into the atmosphere accelerating the greenhouse effect (Reijnders & Huijbregts, 2008). Not only is the clearing affecting atmospheric carbon concentrations in this way, but the slash and burn techniques to clear the tropical forests also contribute to greenhouse gas emissions. By burning the felled areas, high concentrations of carbon dioxide and methane are emitted. A study of these techniques in Brazil revealed an estimated 1,700 megatons of Carbon dioxide and 10 megatons of methane released into the atmosphere in 1987 alone (Tinker et al., 1996). These are alarming figures considering the increase of oil palm production in Indonesia and a concern for the global population. Moreover, Indonesia is one of the most vulnerable countries to the associated outcomes of global climatic change: sea level rise could affect 94 million people by 2100; delayed monsoon could increase the frequency of drought in the country and with rising temperatures increases the amount of vector-borne diseases that could increasingly affect the Indonesian population (Case et al., 2010). However, as the global demand for the product increases, Indonesia maintains the clearing of its forests to supply a global demand vital to boosting the country’s economy. As the associated costs grow, it is here that justice is not being done, as I will explore in later blogs. What do Geographers bring to the Environmental Justice debate? Environmental justice is such a massive topic that it’s easy to focus on the negatives (the injustice) such as the Japanese Tsunami in 2011 and the Fukushima nuclear meltdown that followed, or the Costa Concordia cruise ship disaster and the environmental impacts it is having that Sophie Popratnjak wrote about (20/02/2012). However, it’s not all bad; environmental justice is about ensuring basic human needs are met, enhancing quality of life (Mcdonald, 2002) and protecting the environment and its resources for the future for the good of all of the species on Earth (Clayton, 2000). Friends of the Earth (2001) state environmental Justice means “everyone should have the right and be able to live in a healthy environment, with access to enough environmental resources for a healthy life” they go onto say that it’s usually the poorest in society who miss out on these basic human rights. Geographers play a very important role in all of this; when asked what geography is, most people will simply assume that it’s got something to do with maps and knowing what the capital city of a place is. As geographers our understanding of the linkages between society and the environment mean we are able, more so than most to understand how Human actions are affecting the Biosphere and the ways we should adapt our lives in order to protect the planet for the good, not only of Man Kind, but also for all of the species that inhabit the Earth. Geographers advise businesses, Governments and NGO’s on policies that will benefit the environment and help people adapt to climate change, through a geographers understanding of how local issues affect far off places they are uniquely placed to use this knowledge to inform and educate people on how their actions are affecting the rest of the World(Adams, 1999). So what are geographers doing in order to safeguard the planet? Geographers are concerned with environmental management and in establishing how best to deal with and prevent environmental problems such as soil erosion and how our everyday actions are polluting the planet we live on. Geographers help to establish solutions to these problems such as the use of green technology for example wind turbines that provide green energy and developing flood defences and waste recycling schemes (Adams, 1999). Research plays a major part in all of this; geographers such as Dr Sue Page and Ross Morrison of the University of Leicester have been involved in research to establish the environmental impacts of palm oil plantations, research which can be used to advise on the most sustainable methods of producing biofuels (Page, et. al. 2011). By the implementation of more sustainable production methods; hopefully fewer forests will be cut down, not only are these forests important biodiversity hotspots and carbon sinks they are also home to thousands of indigenous people who are being forced to abandon their traditional lifestyles and take up residence in settled communities (Simpson 2012). Through research like this, geographers are playing a major role in helping to ensure justice for all the Earths inhabitants. Adams, W., M. 1999: Sustainability. In: Cloke, P., Crang, P. and Goodwin, M. Introducing Human Geography. London. Arnold, pp. 125-132. Page, S. E., Morrison, R., Malins, C., Hooijer, A., Reiley, J. O., and Jauhianen, J. 2011: Review of Peat Surface Greenhouse Emissions From Oil Palm Plantations in South East Asia. The International Council on Clean Transportation. 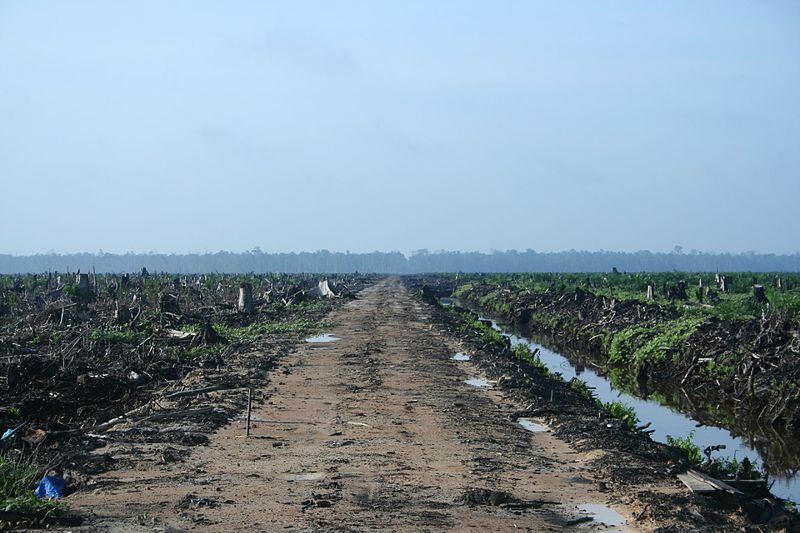 Simpson, L. M. R., 2012: Demand for palm oil is growing – and fast. At the moment, most of it ends up in hundreds of food products – from margarine and chocolate to cream cheese and oven chips. But the cost to the environment and global climate is devastating. Discuss these demands and costs and discuss the contributions geographers can make to this area of work. False hope…False promises: another indigenous community facing extinction. Brazil’s president Rousseff plans to build 60 dams in the Amazon. By focusing purely on economic growth President Rousseff is ignoring human rights and environmental consequences. The construction of the Belo Monte hydroelectric dam will cause land degradation as well as social implications. Brazil’s indigenous population of 500,000 is becoming invisible and facing extinction due to the countries development projects. Indigenous leader Juma Xipara claimed ‘our ancestors fought so we could be here now’, but the land is slowly disappearing. Other tribesmen have reiterated that if communities are displaced it would result in war and blood. Several tribes have liaised with mainstream Brazilian society, but loss of land, cultures and traditions, have meant groups will fight for their rights (Fearnside 2006). The Kaiapo´ tribe protested outside Brasilia National Congress in 2011, presenting them with a petition with over 600,000 names against the dam construction (BBC 2011). The construction of the dam would cause an area the size of Chicago to be flooded; this criminal act does not consider the people, ecosystems or Amazon Rainforest. In January 2011 the dam was approved…February 2011 Brazilian judge Destêrro blocked the proposed dam due to environmental queries…November 2011 the dam was once again given the green light. The Brazilian government stated Indigenous groups did not have to be consulted by law for the dam construction. This encapsulates the great injustice, false hopes and confusion for the 500,000 indigenous people affected. Not only have the government ignored the indigenous population; Judge Martins has overturned his previous decision to prioritise Brazil’s fish stock, in favour of those who claim the fish would not be affected by the dam. Did Judge Martins not consider the declines in fish due to the loss of the River Shingle? Did Judge Martins overlook the ecosystems lost in the 600 acres of forest destroyed for the dam? Did he forget the dam would cause rivers to dry up causing people to be without water supplies, food and transportation? Or was he focussing on Brazils increased wealth? Yes, fishing is vital for the 37 different ethnic indigenous tribes, but there is little consideration for the loss of homes, communities and predicted flooding (Fearnside 2006). It’s a great pity that the Brazilian government hasn’t learnt the social and environmental problems from the creation of the Tucuruí Dam in 1975 (Fearnside 1999). The Tucuruí Dam caused great universal hostility with the loss of towns, homes and communities. With no compensation for the 15,000 people displaced by the Tucuruí Dam what hope is there for 40,000 relocated by Belo Monte? As a geographer this geopolitical case shows that Belo Monte is not combating global warming but in fact increasing carbon dioxide levels due to deforestation, loss of wildlife and threatening the 500,000 strong indigenous community. Not only geographers, environmentalists and local tribes, but now celebrities, are beginning to raise awareness about Belo Monte’s construction; for example: film director James Cameron and Brazilian icon Criolo, proving that this is a contemporary global issue. Sigourney Weaver’s views, images and proposals of Belo Monte. 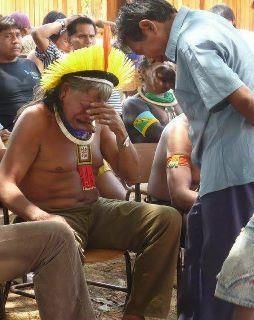 BBC, 2011, Brazil: Indigenous tribes protest against Amazon dam. Available: http://www.bbc.co.uk/news/world-latin-america-12399817. Last Accessed, 16/03/2012. Fearnside P.M., 1999, Social Impacts of Brazil’s Tucuruí Dam, Environmental Management, 24(5), 483-495. 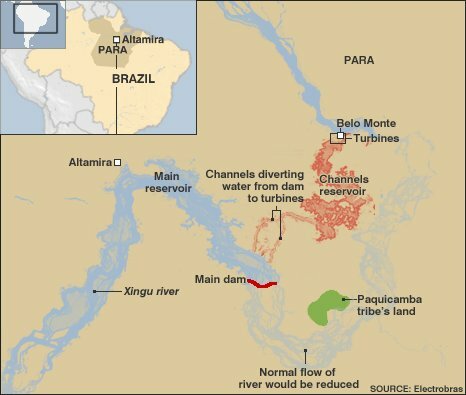 Fearnside P.M., 2006, Dams in the Amazon: Belo Monte and Brazil’s Hydroelectric Development of the Xingu River Basin, Environmental Management, 38(1), 16-27. Yapp R, 2011, Indigenous groups oppose Belo Monte dam construction. Available: http://www.telegraph.co.uk/news/worldnews/southamerica/brazil/8855691/Indigenous-groups-oppose-Belo-Monte-dam-construction.html. Last Accessed, 16/03/2012. Picture 1- BBC, 2011, http://www.bbc.co.uk/news/world-latin-america-12399817. Last Accessed, 16/03/2012. Picture 2- BBC, 2011, http://www.bbc.co.uk/news/world-latin-america-16228680. Last Accessed, 16/03/2012. Carter (2006) describes race as an ‘extremely reliable indicator’ as to the location of environmentally healthy surroundings. Unfortunately a black person living in America is twice as likely as a white person to live in an area where air pollution places a high risk upon their health. The South Bronx, in New York City, has a significant immigrant population of African origin. 500,000 people have either come from the Caribbean, West Africa or South Africa, making it the eighth largest concentration of African Americans in the United States (Naison, 2005). Jonnes (2002) notes that the Bronx became a black community after the ‘White Flight’ in the 1970s and 1980s. The South Bronx accommodates for 40% of New York City’s waste disposal, and 100% of the Bronx’s waste disposal. 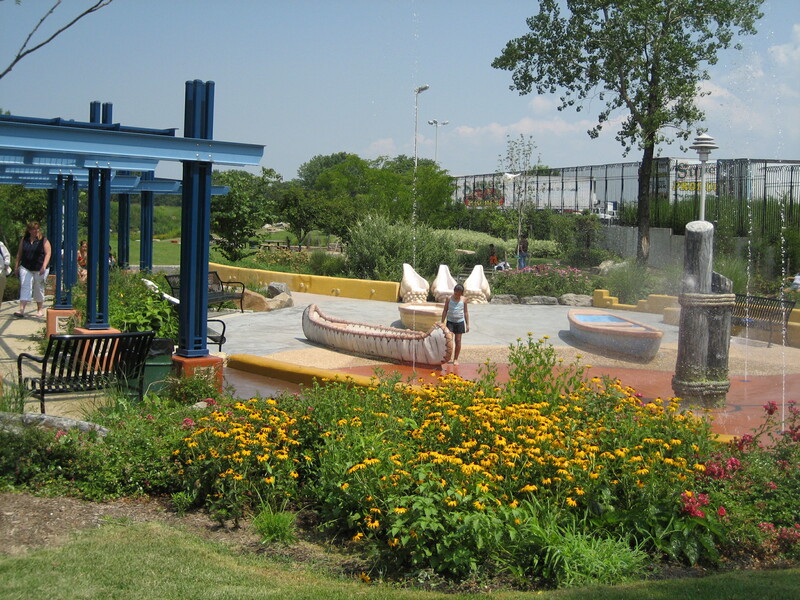 The area is also home to a Sewage Treatment Plant, a Sewage Pelletizing Plant and four electrical power plants. These air-polluting facilities place huge environmental burdens upon the community of the South Bronx (Carter, 2006). In 2000, Majora Carter redefined the notion of environmental equality by transforming the environmental urban degradation that was present in the South Bronx. By collating ideas from people and organisations, Carter managed to shift policies towards positive green economic development in the South Bronx. In 2001, Majora Carter founded the Sustainable South Bronx, a non-profit environmental justice solutions organisation. Her first project started after she stumbled across the devastating state of the Bronx River. The river was inaccessible due to a rubbish dump being located right next to it. This was the only area within the South Bronx where there was public access to water. Within weeks of her observation Carter anticipated the transformation of the Bronx River into a Riverside Park for the community. Carter managed to get $10,000 in funding from the New York City parks department, and raised $3.2 million in contributions to restore the river (Salman, 2008). Carters project did not stop there, her project intended to ‘Green the Ghetto’, of which included ‘planting gardens on apartment rooftops to turning dumpsites into parks’ (Carter, 2009). Her transformation of the Bronx community housing roofing was expressed through the creation of ‘cool roofs’. Cool roofs do not absorb heat, pass it on to the environment or contribute to the greenhouse effect, and will also help to reduce the cities costs of end of pipe solutions (Carter, 2006). In the South Bronx many citizens have suffered from a static unemployment rate of 25% and an accumulation of environmentally borne health problems, stopping them from realising their own potential. After the realisation that the project labour was being carried out by imported workers, Carter established a job training and placement system, the Bronx Environmental Stewardship Training (BEST), that would train local people in ecological restoration, so that they could compete for well-paid employment positions, changing the local unemployment statistics (Carter, 2009). The programme has managed to maintain a job placement rate exceeding 80% since 2003. Majora Carter’s work set out to combat environmental problems facing ethnic minorities, using the ‘green economy’. She is a visionary within the fight for environmental racism justice, and living evidence that something can be done! The green economical mechanisms that she has used could be placed into other communities around the world, reducing the expressions of environmental racism that occur on a daily basis. Carter, M. (2006). 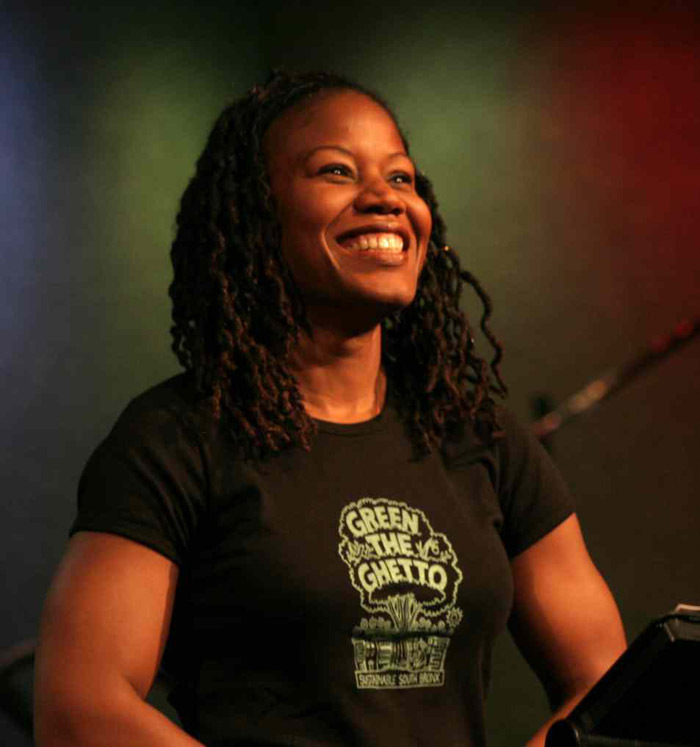 Majora Carter: Greening the Ghetto TED video. Available: http://www.ted.com/talks/majora_carter_s_tale_of_urban_renewal.html. Last accessed 12.03.12. Carter, M. (2006). Majora Carter Profile. Available: http://www.ted.com/speakers/majora_carter.html. Last accessed 16.03.12. Carter, M. (2009). Greening the Ghetto. Available: http://www.theroot.com/views/greening-ghetto. Last accessed 14.03.12. Naison, M. (2005). The Bronx African American History Project. OAH Newsletter. 32 (3), 1. Picture 1: Greenway – Bronx River Alliance. (2007). Hunts Point Riverside Park. Available: http://bronxriver.org/?pg=content&p=media&m1=25&m2=29&m3=40. Last accessed 15.03.12. Picture 2: Majora Carter Group. (2006). 10 Women Who Changed the Environment Forever. Available: http://ecopolitology.org/2010/04/22/10-women-who-changed-the-environmental-movement-forever/majora_carter/. Last accessed 16.03.12. Salman, S. (2008). A river runs through it. Available: http://www.guardian.co.uk/society/2008/apr/23/socialexclusion.communities. Last accessed 16.03.12.